Is this system inconsistent (parallel)? Is this system consistent and dependent (same line)? Use this calculator to find the solution to a system of two linear equations. This calculator will also let you know if the equations are parallel or the same line. 2. Put the values of A, B, C, A`, B`, and C` in the correct spaces. 3. Click on the calculate button. 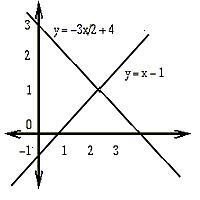 The X= and Y= values represent the point of intersection for the two lines. To repeat this activity, click on the reset button.